The Future Is Here: Solar Freaking Roadways! | OhGizmo! 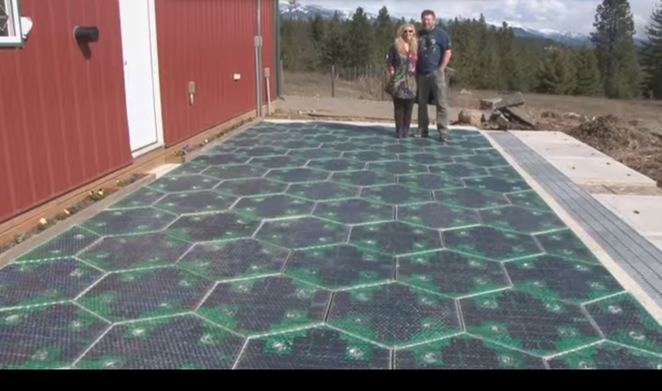 The Future Is Here: Solar Freaking Roadways! Imagine if we could convert all the roadways in America into a giant solar panel that provides enough energy for every household in the country. Just imagine. No more nuclear plants. No more coal plants. Greenhouse gas reductions of 75%. Sounds cool, right? Well, the good folks at Solar Roadways have already done that, and they’re trying to get the product adopted by the relevant authorities. Solar Roadways is a modular paving system of solar panels that can withstand the heaviest of trucks (250,000 pounds). These Solar Road Panels can be installed on roads, parking lots, driveways, sidewalks, bike paths, playgrounds… literally any surface under the sun. 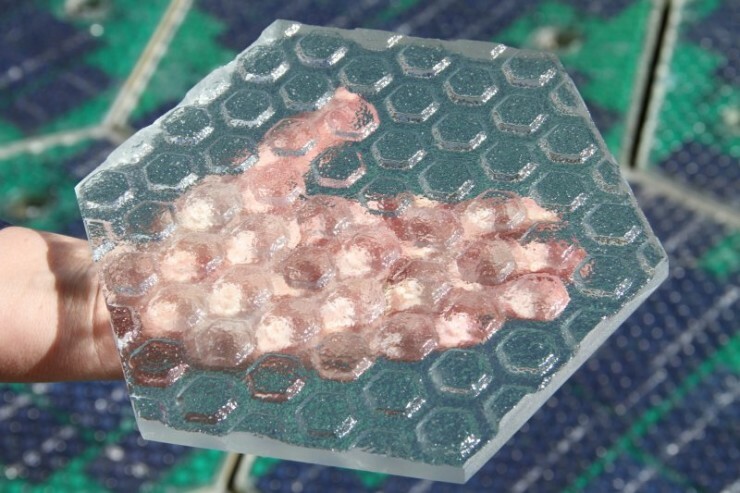 A nationwide system could produce more clean renewable energy than a country uses as a whole (http://solarroadways.com/numbers.shtml). They have many other features as well, including: heating elements to stay snow/ice free, LEDs to make road lines and signage, and attached Cable Corridor to store and treat stormwater and provide a “home” for power and data cables. EVs will be able to charge with energy from the sun (instead of fossil fuels) from parking lots and driveways and after a roadway system is in place, mutual induction technology will allow for charging while driving. The possibilities this system affords are mind blowing, and too varied to all list here. But you should know this is no oddball backyard project. Solar Roadways have been extensively tested, with funding from the U.S. Federal Highway Administration. It’s a real product, and if the stars align and politicians can get their heads removed from their behinds, maybe, just maybe this can become a thing. Who are they kidding, the production of solar panels produces toxic waste. If the politicians “got their heads out of their behinds” they would already know we would be trading one the use of fossil fuels for stockpiles of toxic waste. Also, the cost to maintain this type of road surface would cost a lot more and the taxpayer will be picking up that bill. Smaller scale may be an answer to certain energy needs. Decks -patios etc. Any one know the EMF facts as related to humans – associated with these?